Happy Sunday, boys and girls! I started my day off right with a peanut butter, vanilla whey and spinach smoothie. Yum, yum! I don't know about you, but I am ready for another week! Last week, I did really well in some aspects, and others; not so much. I drank a LOT of water last week and it made me feel really good. I did a good amount of strength training, and I followed some of my dinner plans for the week. In case you're new to my blog (or just in case you have forgotten) I've got a few goals for the month of January. So far, I am doing really great at reaching them! I'm currently taking a Prenatal Vitamin and Folic Acid (to prepare my body for the future), Vitamin D (to help keep my MS under control) and Vitamin C (to keep myself from getting sick). I have really been enjoying the Healthy Habits e-course. Most of the material is taking be "back to the basics", but I'm thinking this is exactly what I needed! So far, the course has gotten me to focused more on water, and how much I am actually suppose to be drinking. I have been drinking nearly double the amount of water that I have ever drank daily, before. The results (aka the way I feel) have been incredible! Perfection isn't the goal, progress is! 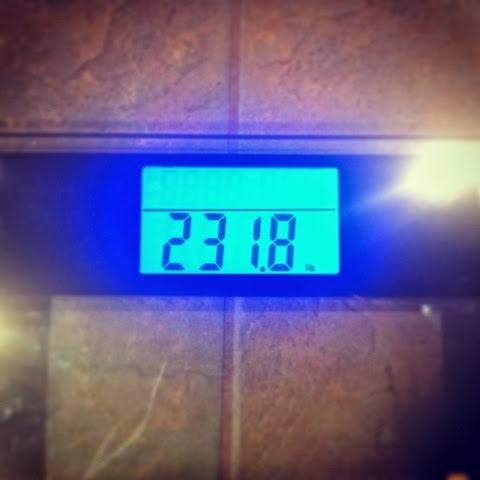 Down a total of 3 lbs. in 12 days. Not too bad! What goals do you have for this week?